"We are ready to offer China very comprehensive cooperation in many areas," the official, who is involved in the preparation of the EU leaders' meeting, said. He said EU leaders were ready to conclude in 2020 an "ambitious" EU-China investment agreement and that leaders of EU institutions would directly engage in the talks, to speed up the process which has so far been slow. He said the reforms should include new rules on industrial subsidies, on eliminating forced technological transfers and getting to work the WTO appellate body, now paralysed by the lack of appointed judges. "We also want to work with China within the G20 framework to tackle the problem of over-capacity in the steel and aluminum sectors and also to prevent the problem of over-capacity in other sectors like in high tech," the official said. "We also want to work with China on new, transparent rules for export credit. 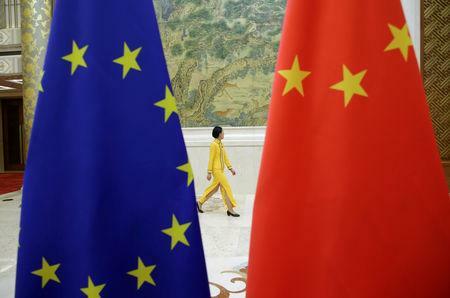 We are ready to promote, together with China, connectivity between Europe and Asia, but in a way that ensures fiscal, financial and environmental sustainability," he said. "I think this discussion will also give a chance for a collective reflection on how the EU should position itself vis-a-vis China and the U.S.," he added.